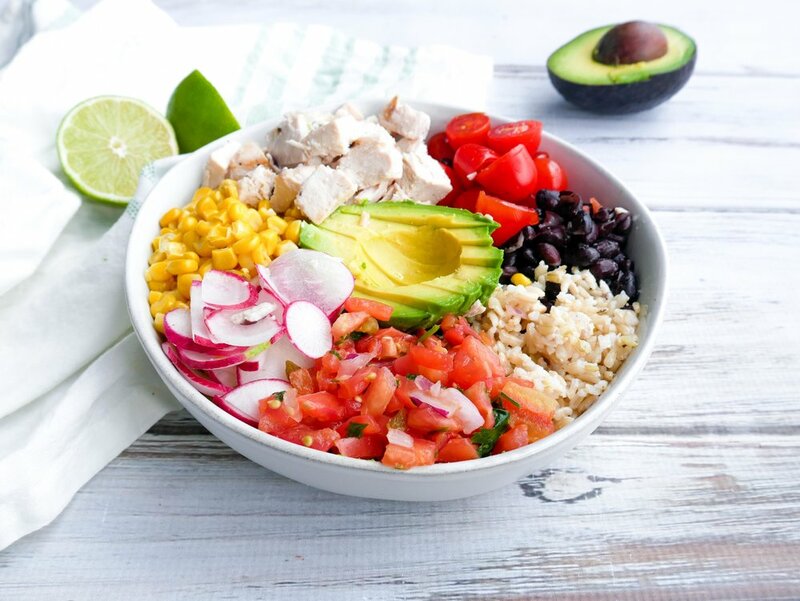 Mexican food is my absolute favourite which is why I have created a recipe for a Burrito Bowl. These are high in protein and loaded with vegetables. The fresh flavours and wholesome ingredients make an ideal, and easy lunch or dinner, and an excellent dish to meal prep. The best thing about burritos is that you can slice and dice them in any way you please. Feel free to swap the rice for quinoa, chicken for lamb, and the avocado for sour cream. Other ingredients that can be used are cheese, spinach, chili, coriander, chickpeas and red onion. To cook the rice, place the rice into a pot with 3/4 cup of water, over medium heat. Let the rice simmer for 15 minutes or until the water has evaporated. While the rice is cooking, slice the chicken breast into small cubes. Heat a frypan over medium heat and add the olive oil. Once the pan is hot, add the chicken and cook for around 10 minutes or until it is cooked through. If you are using raw kidney beans, add beans to a small saucepan with 3/4 cup of water. Bring to a boil then reduce heat to low to stay warm. Let simmer for 15 minutes or until the water has evaporated. 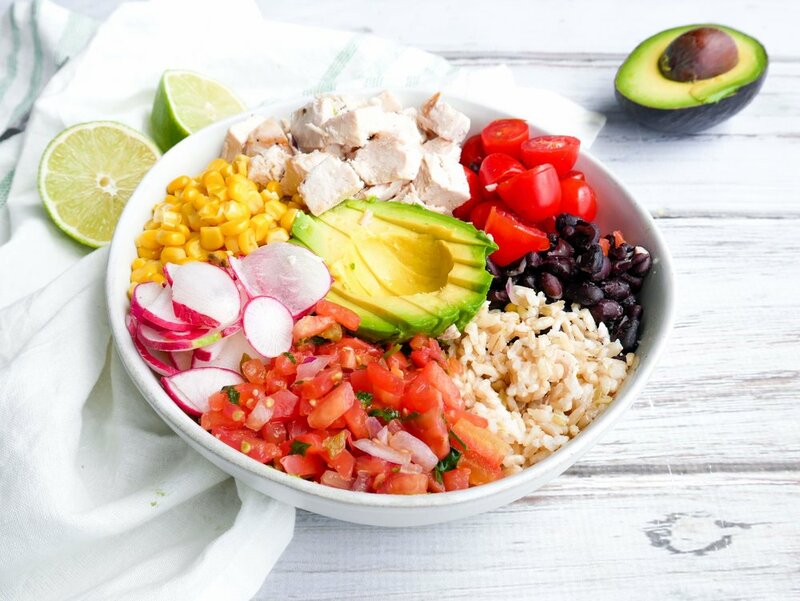 To prepare the bowl, add all the ingredients and top with lime juice and a season of salt + pepper.